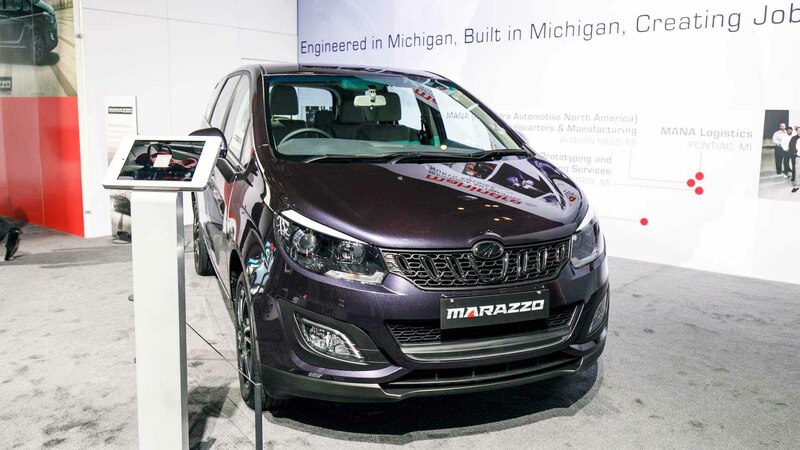 The Mahindra Marazzo has been showcased at the 2019 North American International Auto Show that will be held from January 14-27, 2019 at the Cobo Center in Detroit. The Mahindra Marazzo has been on sale in India at a starting price of INR 9.99 lakh (ex-showroom), which slots the new MPV between the new Maruti Ertiga and the Toyota Innova Crysta. With Mahindra now a part of the Detroit area automotive landscape, the NAIAS gives us an opportunity to highlight our Michigan-based team and our new manufacturing operation. Today, just over 5 years since the opening of our first Detroit office, this team is fully engaged in the business of envisioning, engineering and producing innovative transportation products for U.S. as well as global markets - helping Mahindra become 'the' brand of choice for mobility in the future. The company's latest MPV, which has been on sale in India in a price bracket of INR 9.99-14.38 lakh, has shared the floor space with the Roxor and the company's zero-emission GenZe e-scooter engineered and assembled in Ann Arbor, Michigan. The Mahindra Marazzo is the first jointly developed vehicle by Mahindra North American Technical Centre (MNATC) in Troy, USA, and Mahindra Research Valley (MRV) in Chennai, India. The design of the company's new MPV, which is said to be inspired by a shark, is a work of the company's Kandivali-based design centre in Mumbai and renowned Italian design house Pininfarina. The Marazzo has received a 4-star rating from Global NCAP. The Mahindra Marazzo is powered by a 1.5-litre diesel engine that outputs a maximum power of 121 bhp at 3,500 rpm and a peak torque of 300 Nm at 1,750-2,500 rpm. A 6-speed manual transmission drives the front wheels.